When Virto Kanban Board Add-in for Office 365 is installed, it can be added on a page of your site collection. Click “Edit” on a page, then press “Insert” on the ribbon and choose “App Part”. Select “Kanban Board for Office 365” from the list of available apps. 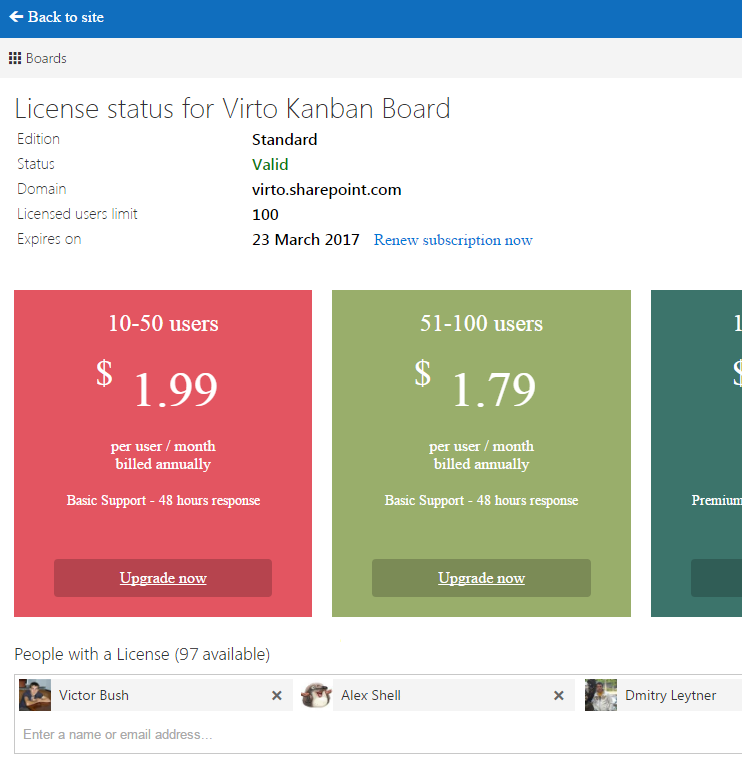 Add Kanban Board app to the SharePoint site page and save the changes for this page. Click on link with app name to configure the app. Click “Settings” in the right upper corner and open “License” to manage your subscription and add users to the Kanban Board license. Note: License management is available for site collection administrator only. 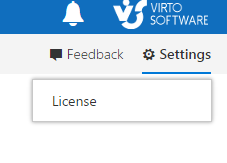 There you can check the status of your license and add users to the license. Then you can return to the previous page and create a new board or choose an existing board to edit it. All existing task lists from current site collection will be displayed on the boards page. There you can adjust existing board or create a new one. If you have no previously configured boards on this page, you will be offered to create a new board with a new list or configure an existing list. To create a new board quickly with “Quick board” feature, you have to type a board name and customize it later. The list with the same name will be created. You can see the test task and default set of columns. You can adjust this board by clicking Edit icon next to the board name. The second option is to configure an existing list.